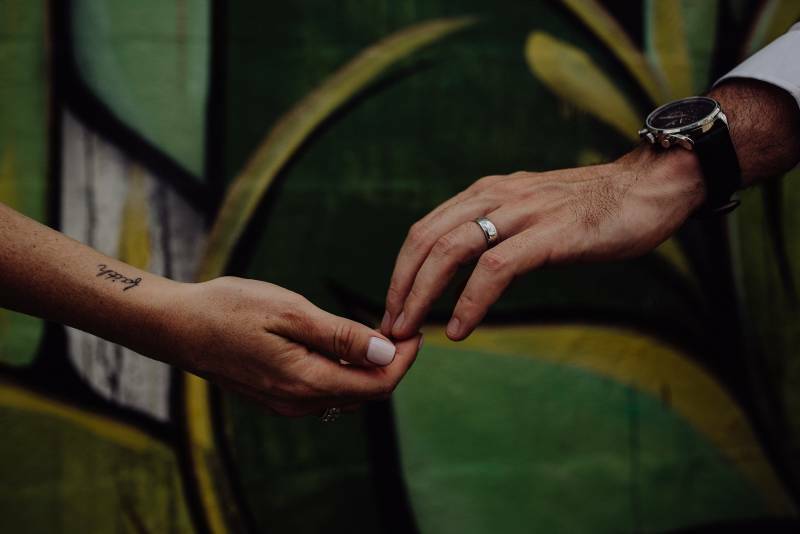 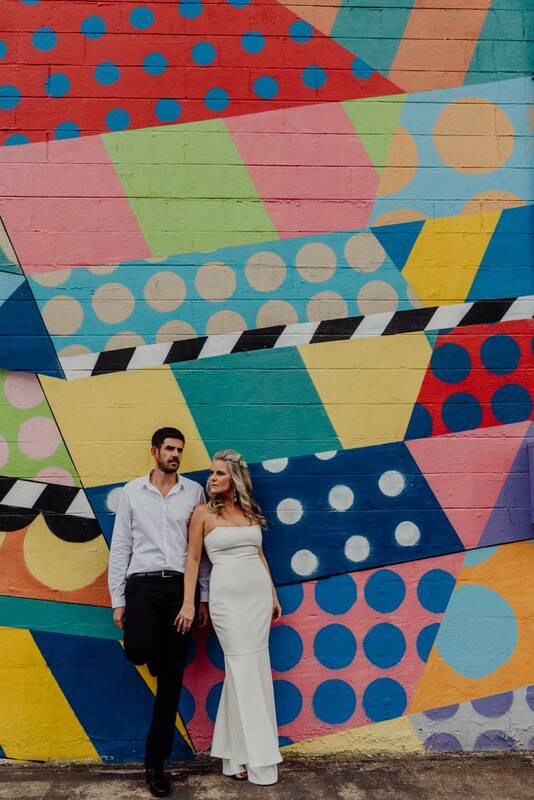 Does wedding planning have you all like... let's elope on the Pedestrian Bridge, eat some pizza and take fun photos in front of murals? 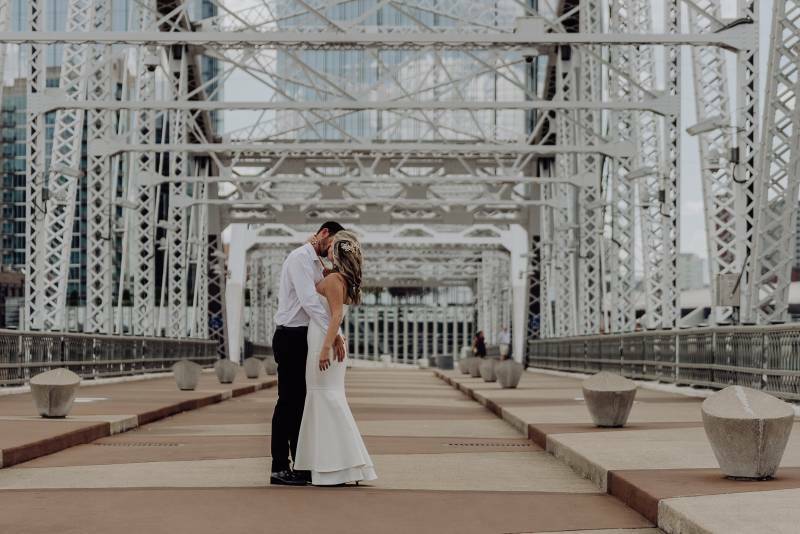 Well, to help you visualize that scenario, we bring you Shawna + Sam's downtown Nashville elopement! 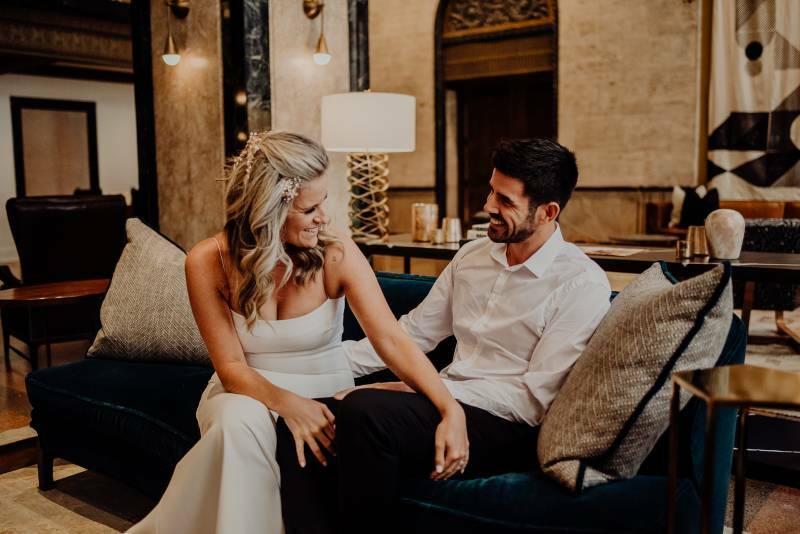 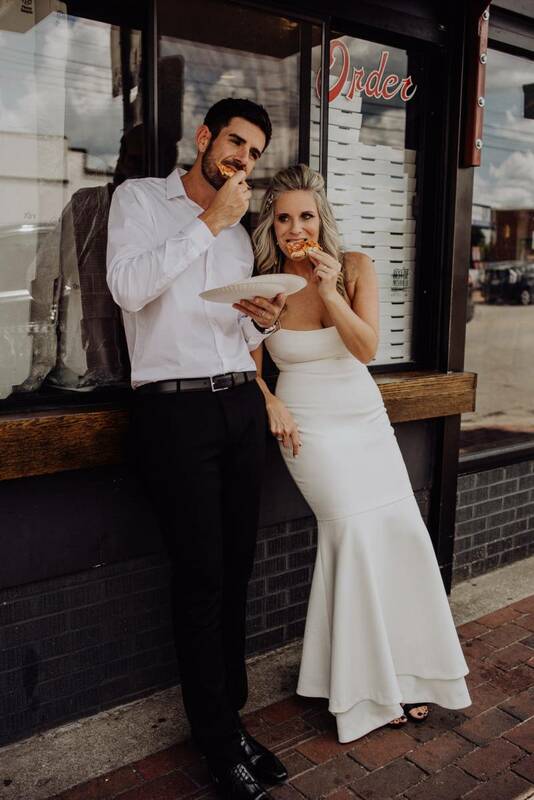 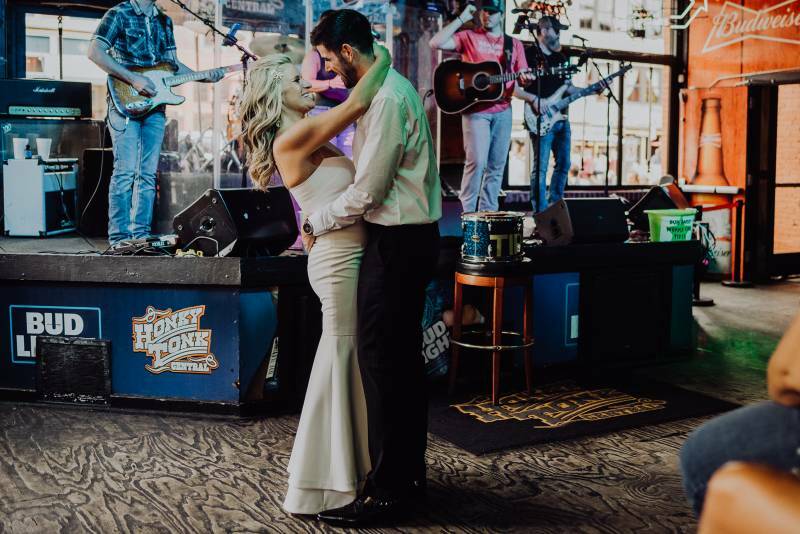 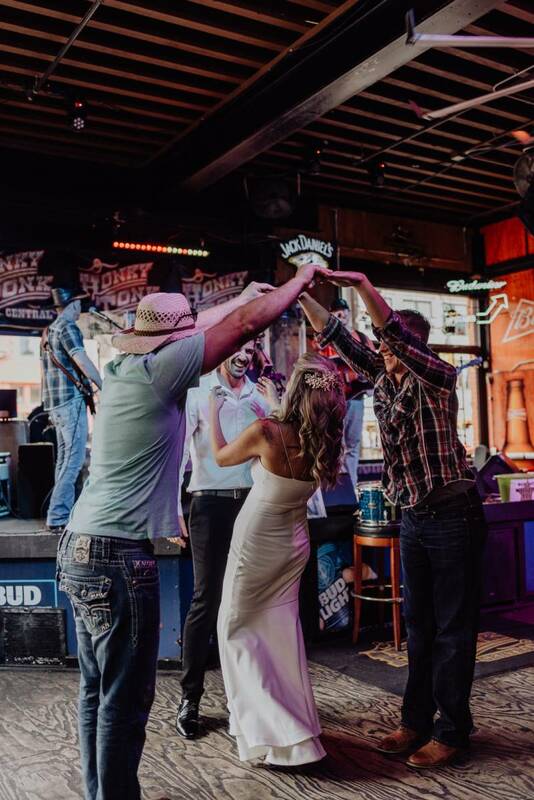 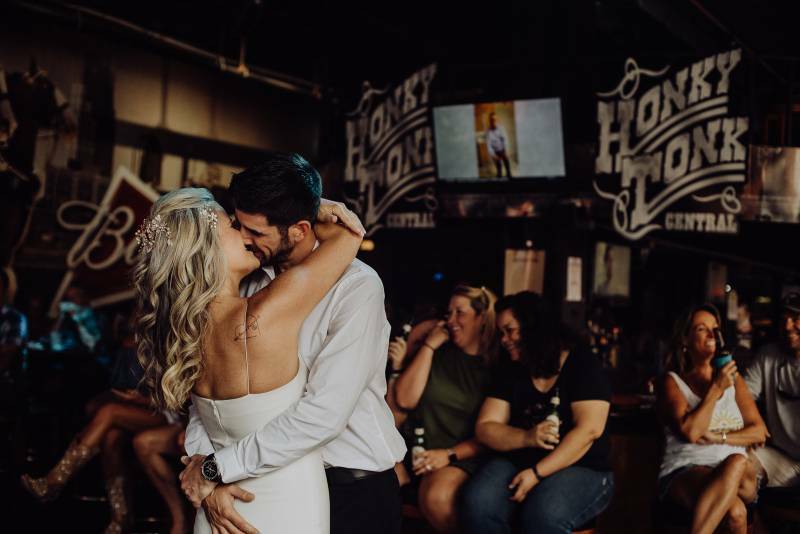 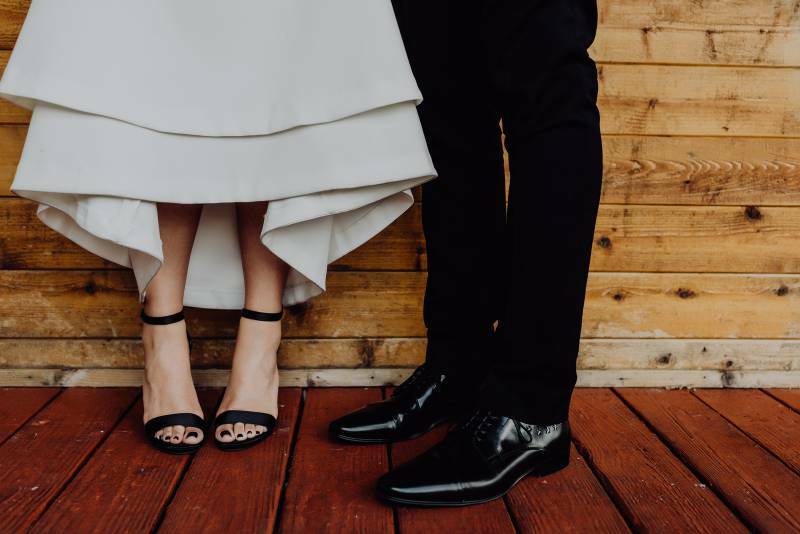 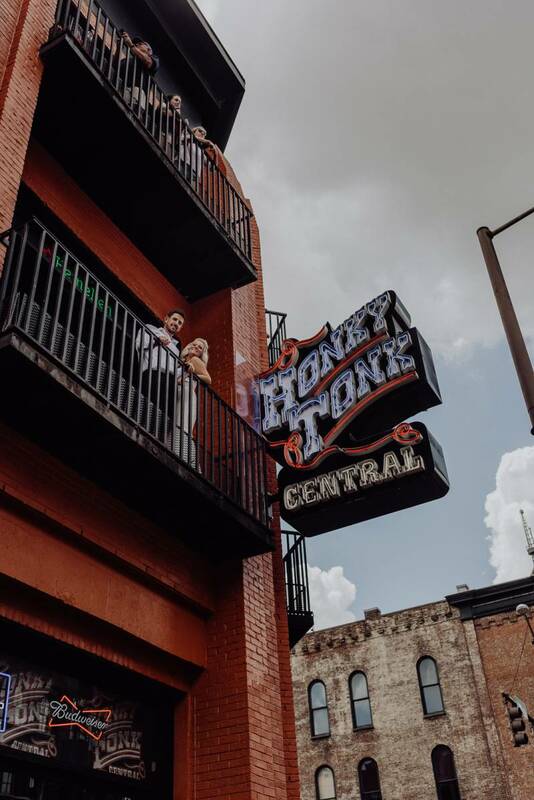 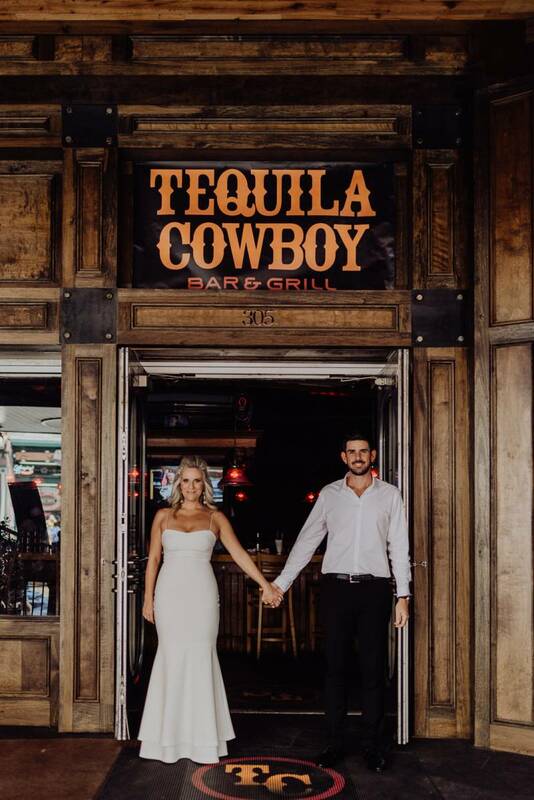 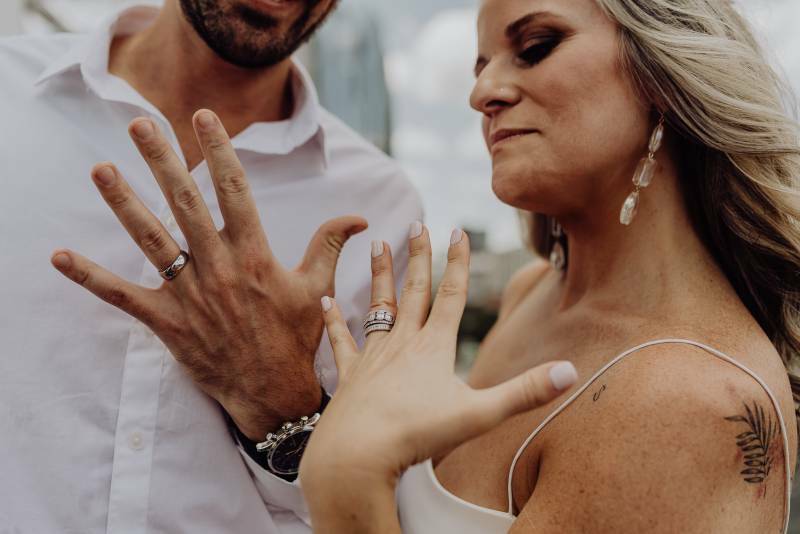 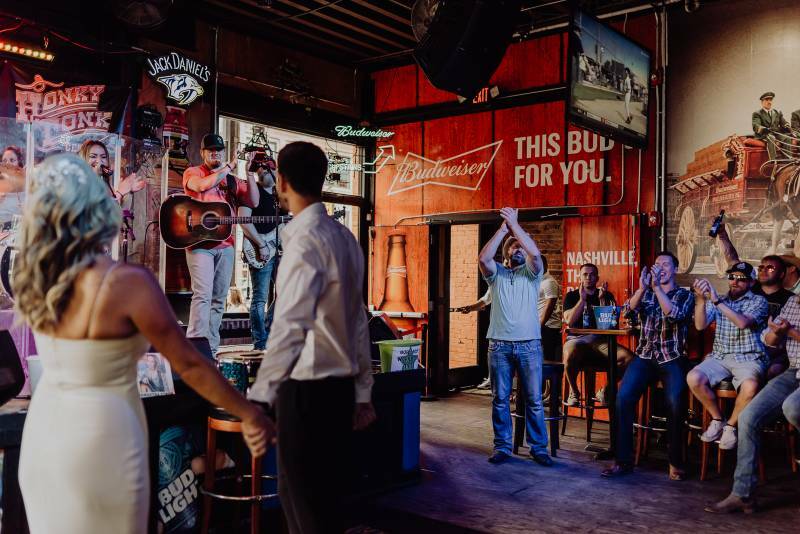 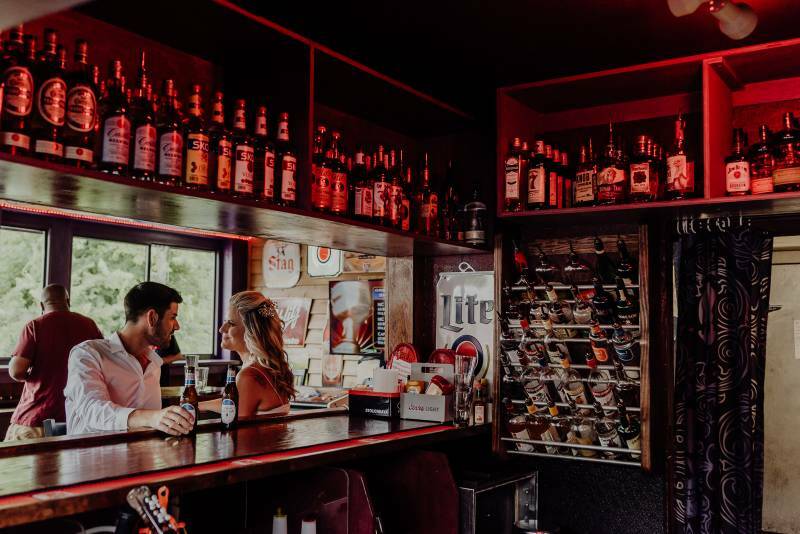 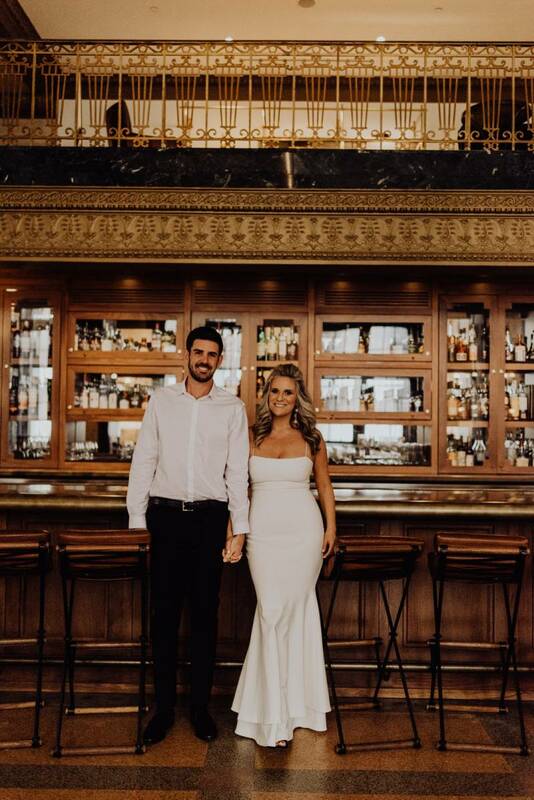 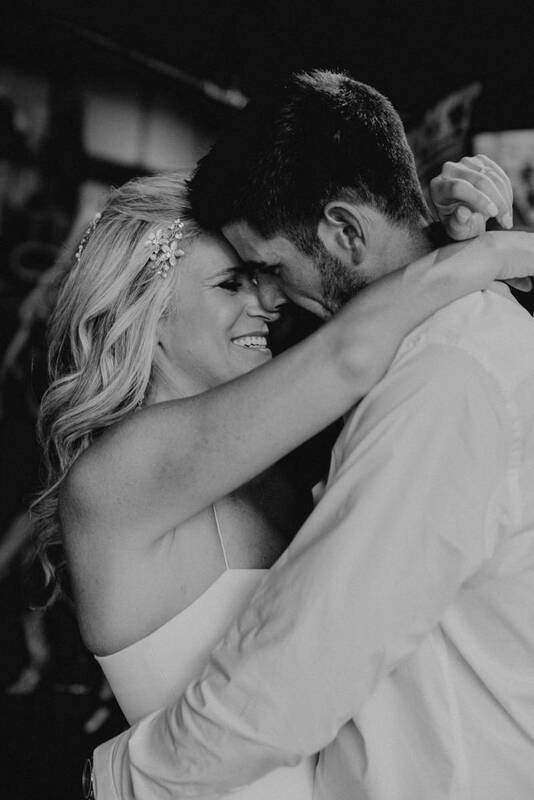 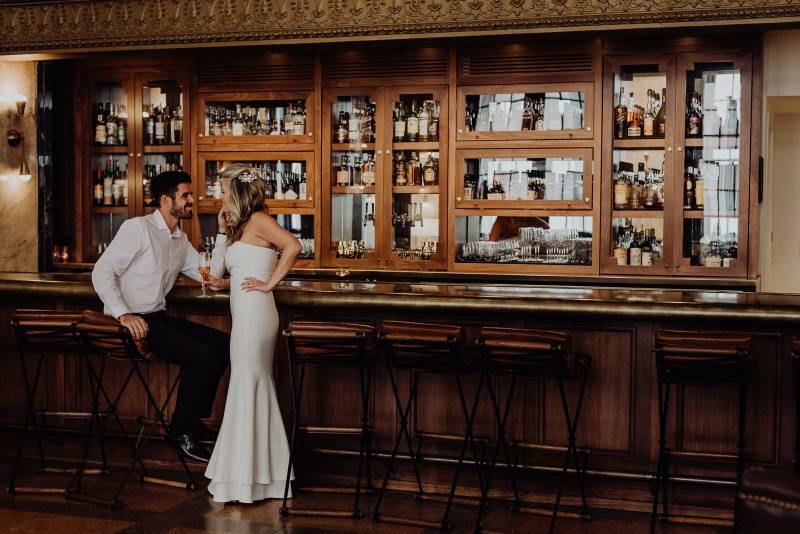 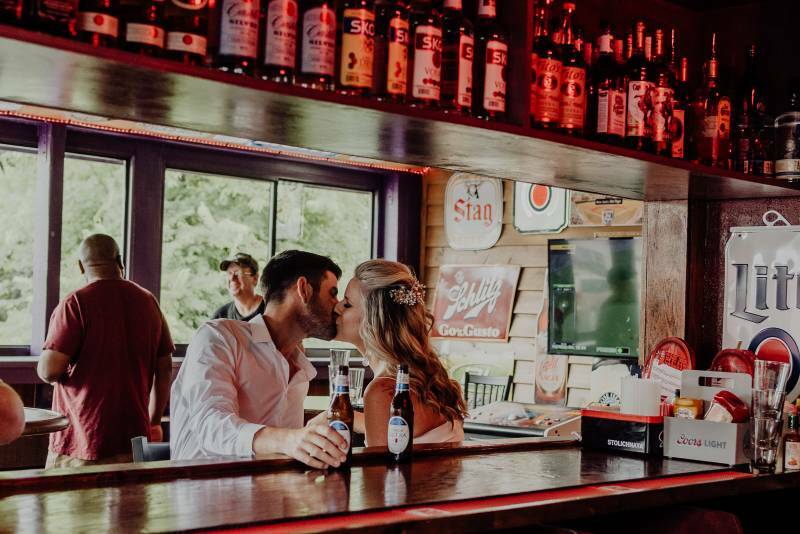 Their oh-so fun day started off at Noelle, continued with saying their vows with a downtown view, and ended with a honky tonk bar hop. 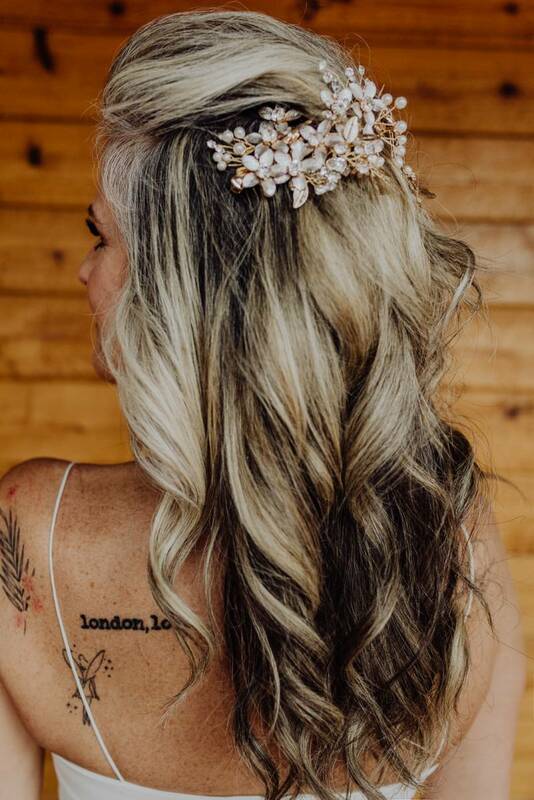 NBG vendor Makeup by Katie-Laine Thornton gave Shawna her flawless look while Wilde Company captured their day behind the camera. 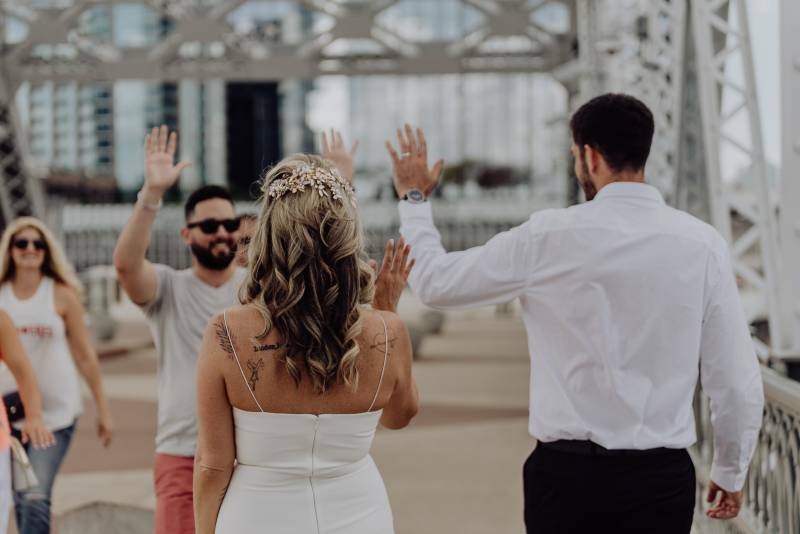 See their day below! 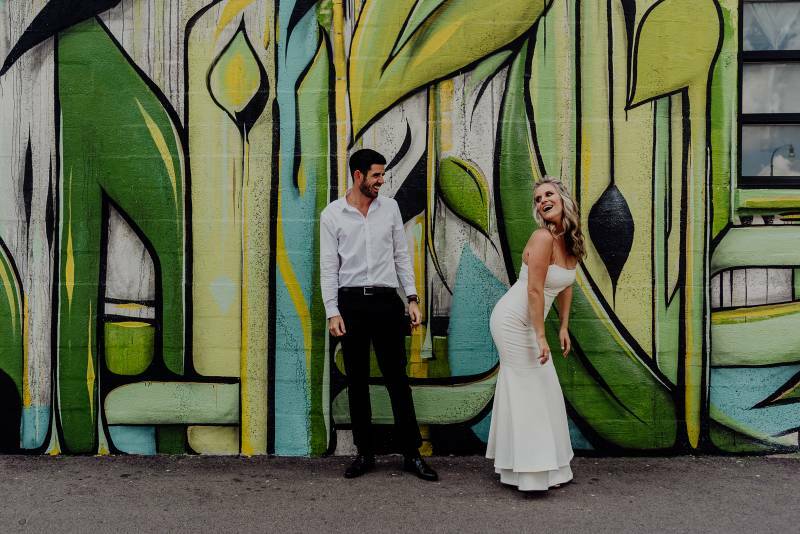 From the photographer, Wilde Company: Do you ever meet someone and immediately think- we need to be friends? 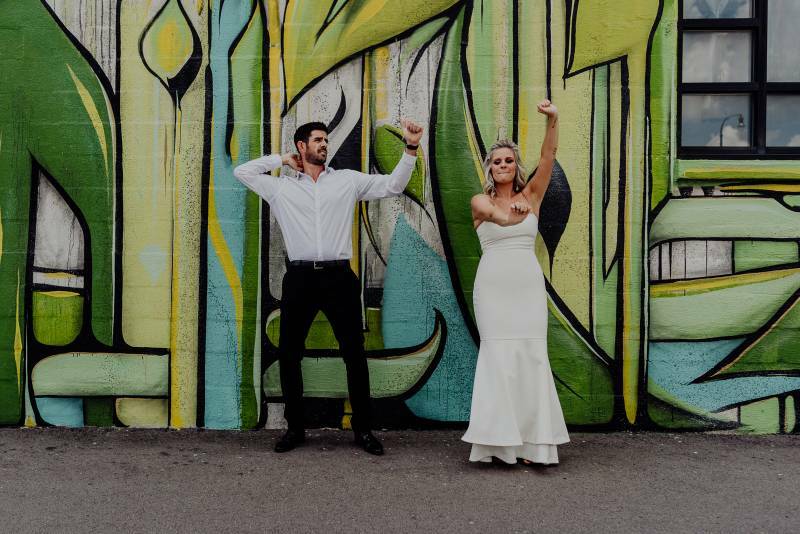 Well that's how we felt with these two! 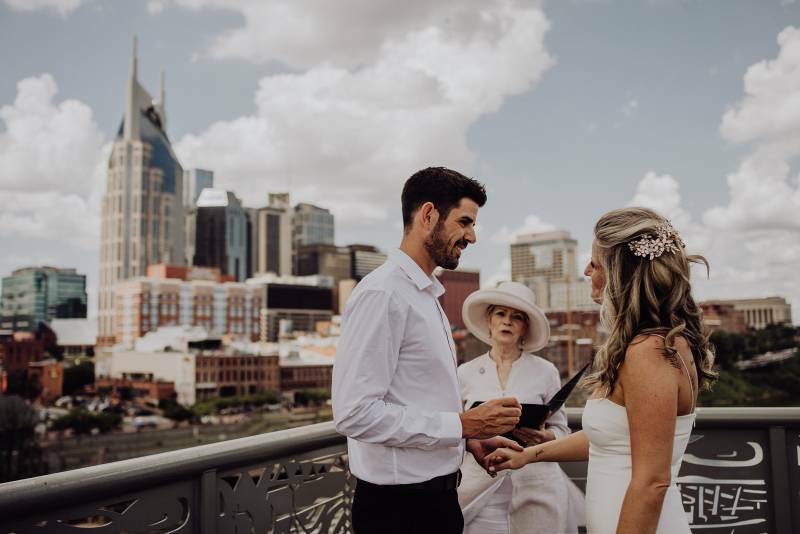 Shawna and Sam flew in from Toronto to elope in Nashville- exactly one year ago to the date of when they first met, and where they first met- Nashville! 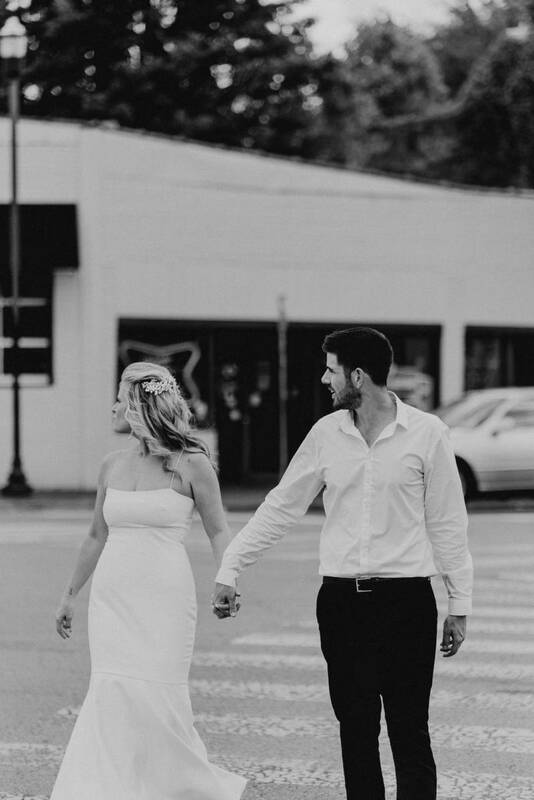 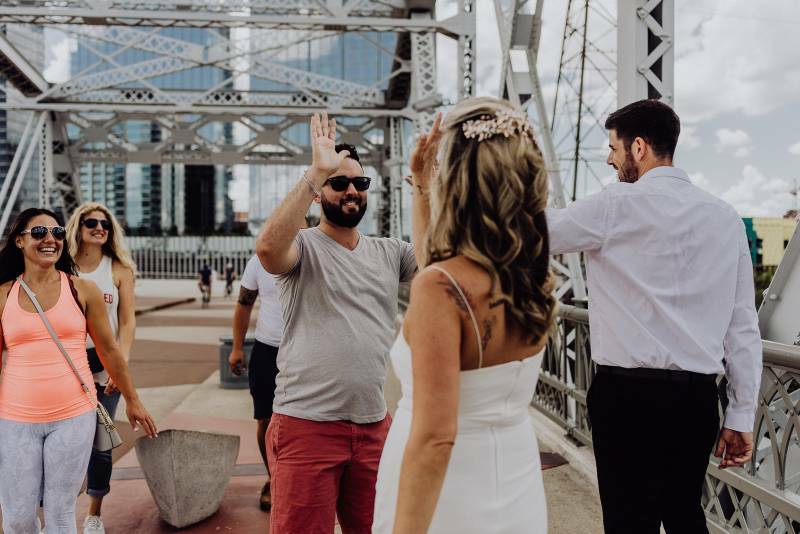 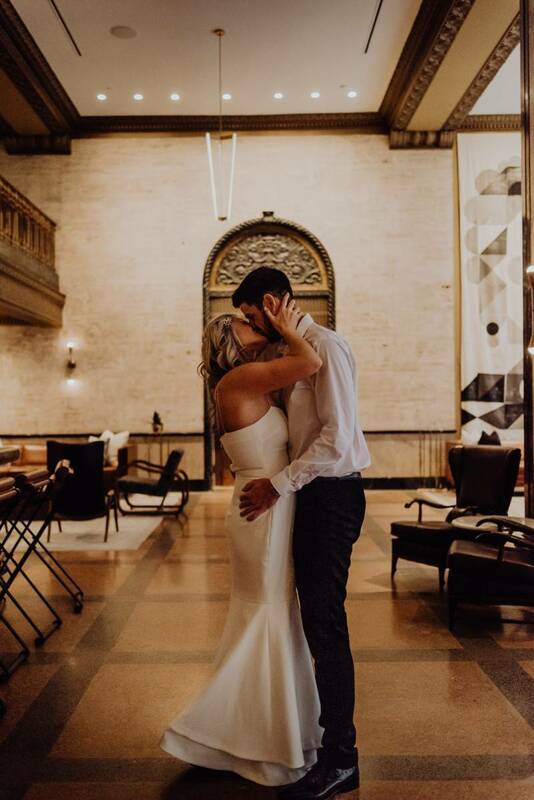 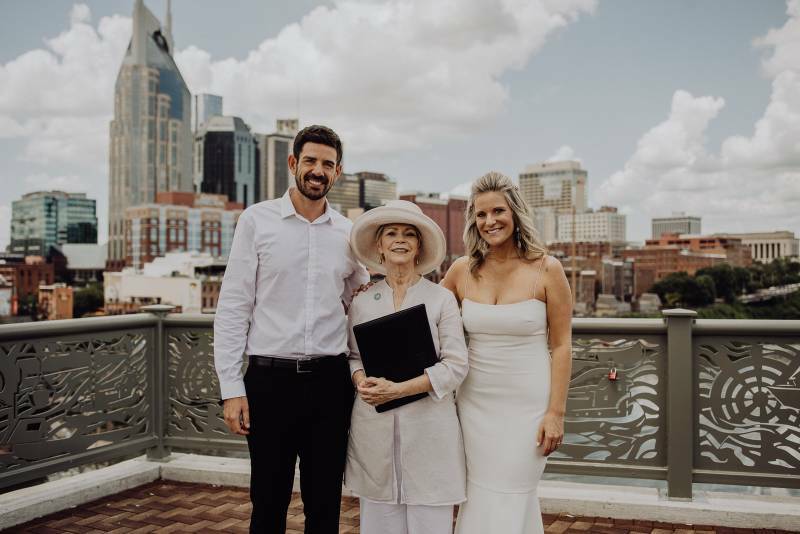 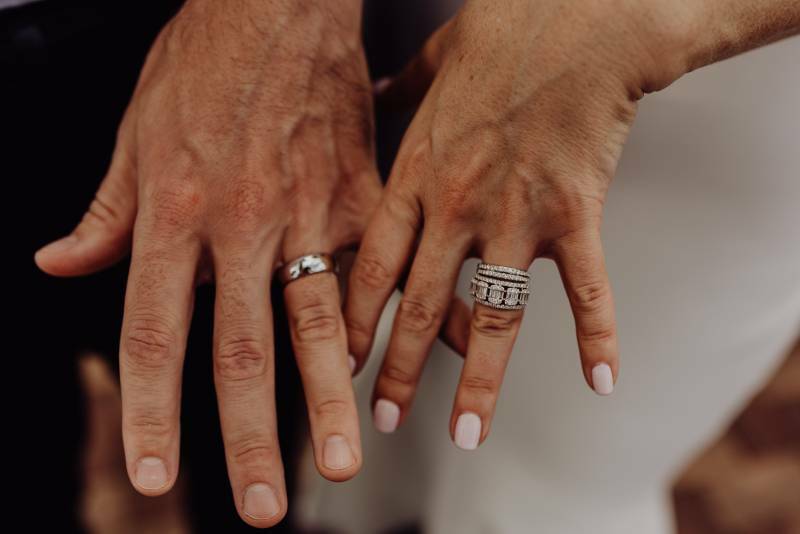 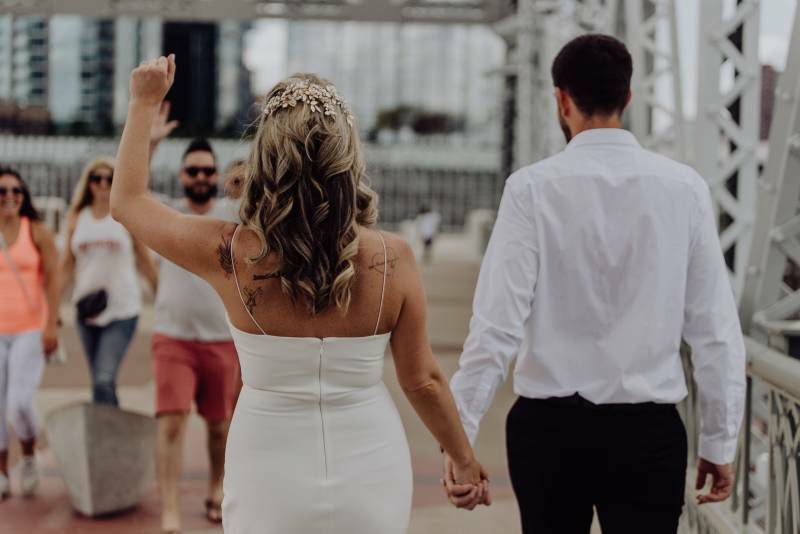 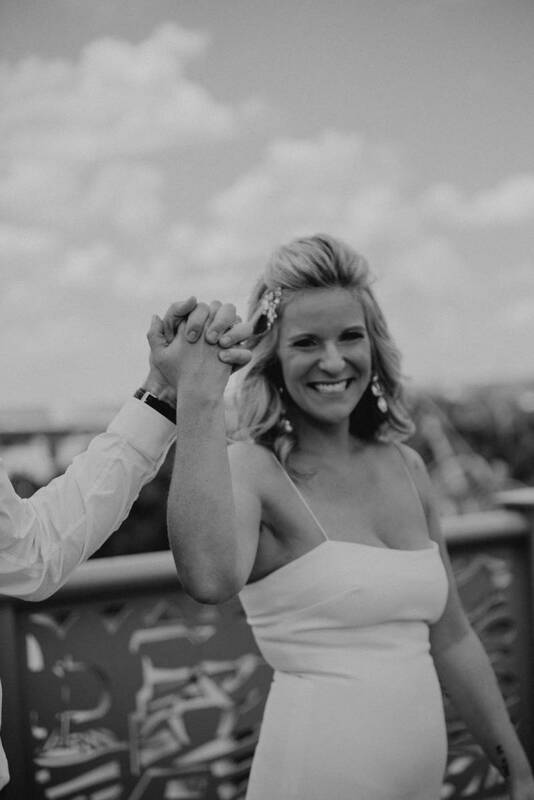 From the photographer, Wilde Company: We started off the day meeting them at the hotel they were staying at, Noelle, which is just incredibly beautiful, and then headed over to Shelby Street Bridge where they had such a sweet ceremony with the skyline of Nashville behind them. 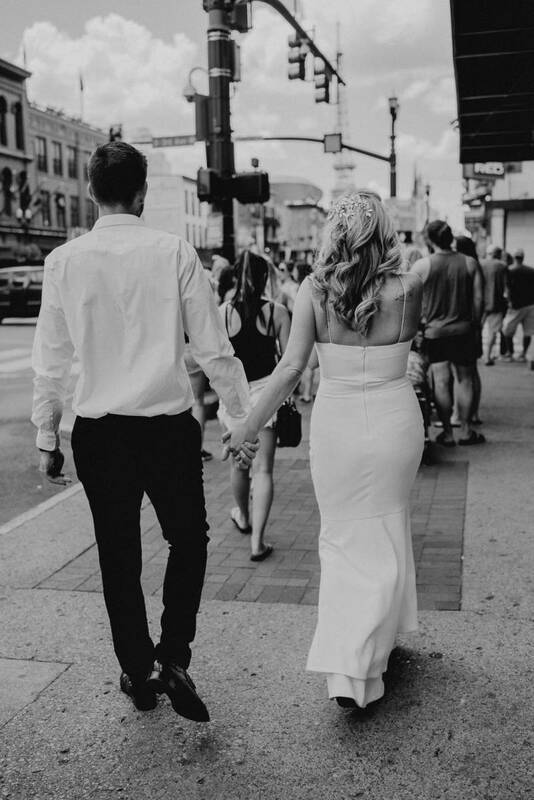 Afterwards, they got some high fives from onlookers as we walked down to lower Broadway for their first dance at the bar they met in. 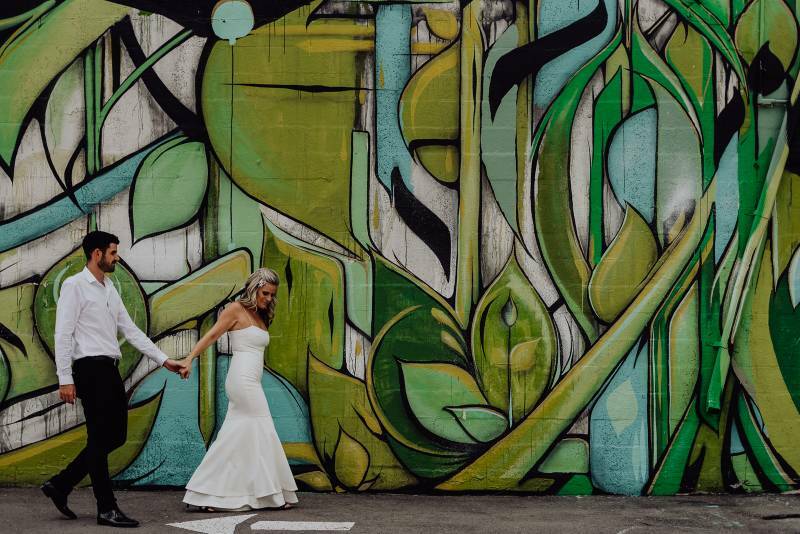 Seriously- how cool is that? 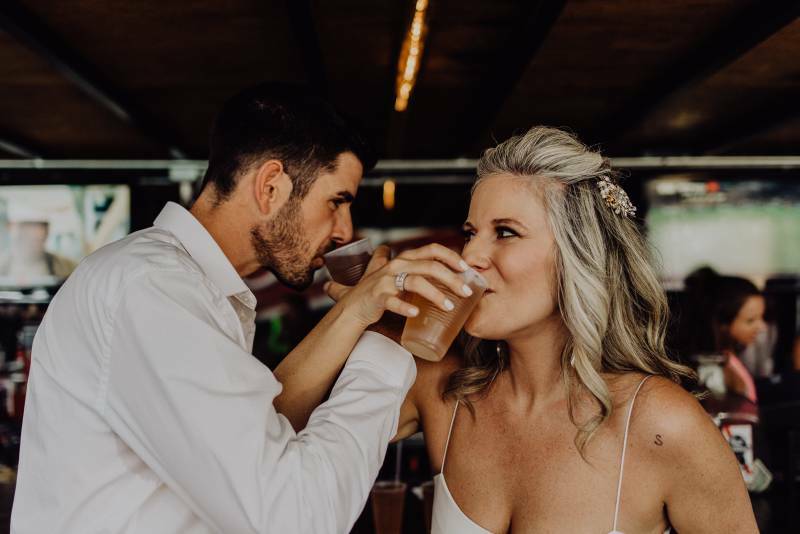 We then proceeded to hop all around town, have a dance party on the side of the road, and finished up with some pizza and beer. 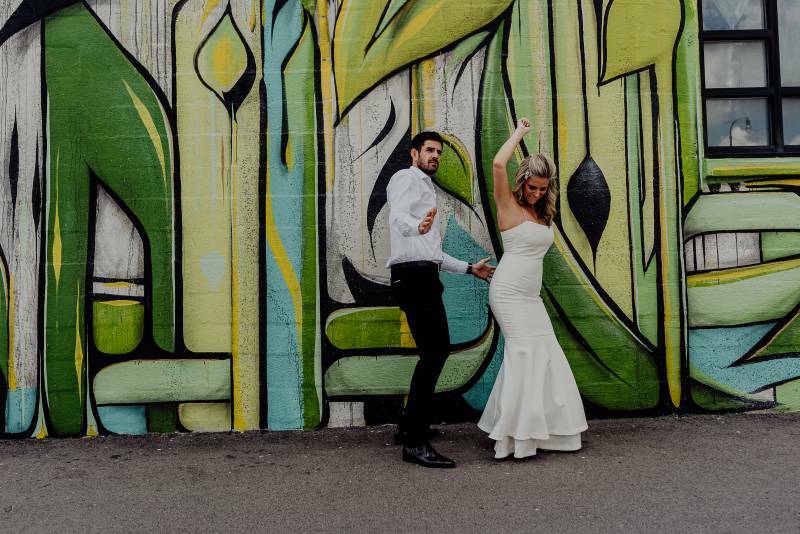 We had the most fun! 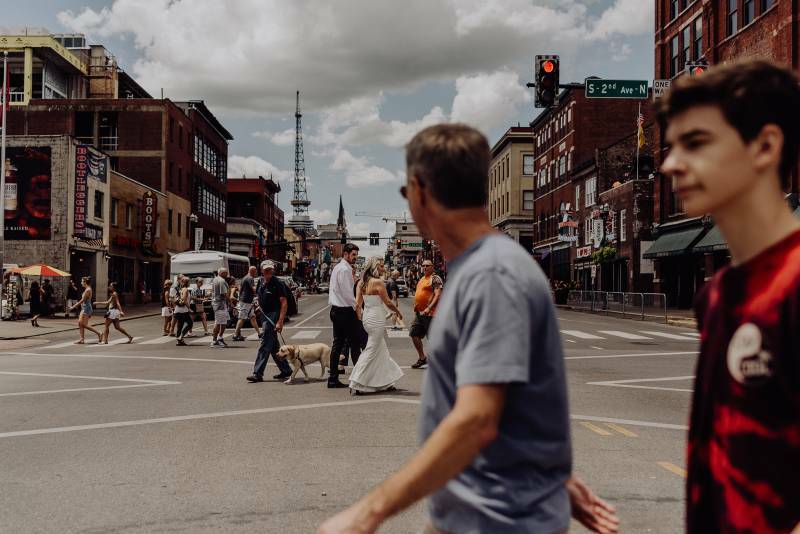 Thanks so much for sharing this fun downtown Nashville elopement with us, Wilde Company! 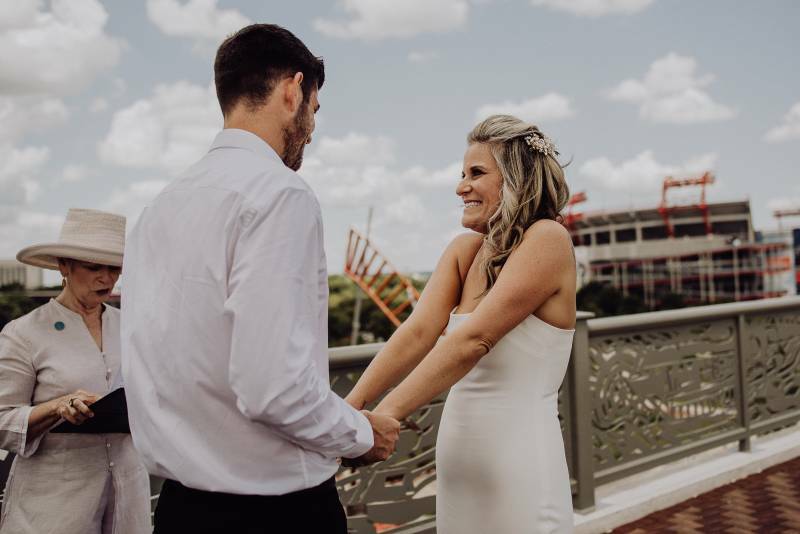 Check out more on Wilde Company HERE online. 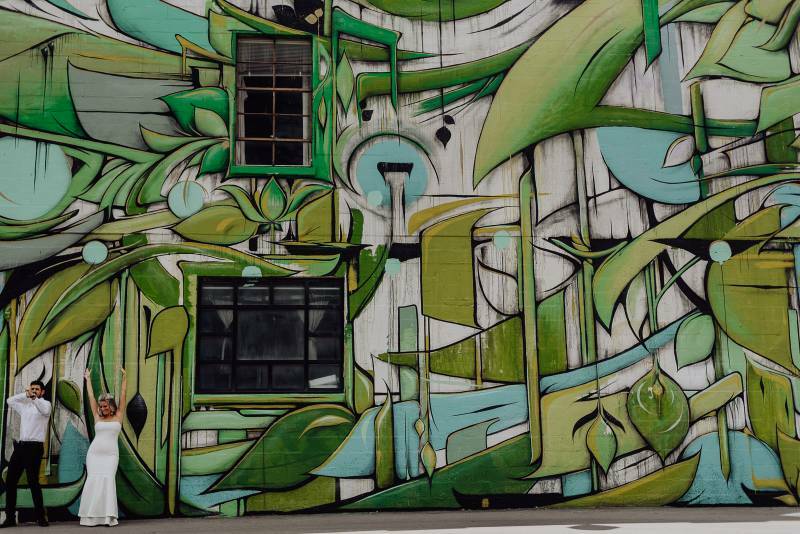 And also be sure to check out their work on Instagram!